The Camaro's U.S. sales rose 4% through May. DETROIT -- Ford Motor Co.'s Mustang is falling farther behind the Chevrolet Camaro as the top-selling U.S. sports car, jeopardizing a Michigan factory as designers work to win back the hearts of pony car fans. Ford narrowly lost the crown in 2010 after a 24-year run, and the gap widened this year, with General Motors Co.'s revived Camaro outselling the Mustang by 33 percent through May. The 1,700-person plant in Flat Rock, Michigan., has just one shift of workers, and its Japanese partner decided last week to pull out. "The Mustang on its current sales pace isn't enough to sustain Flat Rock," said Jeff Schuster, an automotive analyst with researcher J.D. Power & Associates. 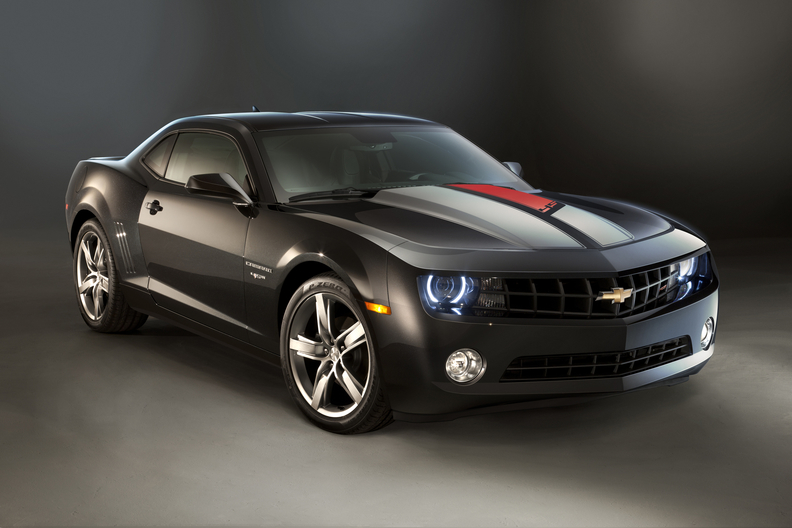 "The Camaro has a more modern feel and seems to draw more attention from a younger age group." The second-largest U.S. automaker is working to increase production of V-6 engines while its designers prepare for a new version in 2014 to restore its cachet. GM started selling a convertible version of the Camaro this year and says the Mustang is one of the top trade-ins for the Chevy sports car. "They have a huge, loyal base with the Mustang," John Fitzpatrick, the Camaro's marketing manager, said in an interview. "We are starting to chip away at that." Adding to Mustang's misery, Mazda Motor Corp. said last week that it plans to pull its Mazda6 model out of the Michigan assembly plant where Ford also makes the sports car. Ford, which owns half of the factory, said it is working with Mazda and the UAW to explore options for the "critical" site. Not sharing the assembly line with Mazda will allow Ford to build more Mustang variations, said Steve Ling, the car's marketing manager. "The flexibility that that provides is a good thing," Ling said in a June 14 interview, declining to give specifics on how Mustang production might change after Mazda leaves. "It's good to have options and that's what that scenario provides." Even if Mustang manages to overtake the Camaro, Ford will never sell enough of its muscle car to fill up Flat Rock, Schuster said. The factory has the capacity to build 240,000 vehicles a year, Mazda has said. Last year, Ford sold 73,716 Mustangs. "Even with a boost from a redesign, because of what Camaro has achieved, you're still looking at sales volume for the Mustang below 100,000 a year," Schuster said. "The bottom line is something at Flat Rock will have to change." Ford is to introduce a redesigned Mustang in 2014, said Brian Johnson, an analyst with Barclays Capital in Chicago.